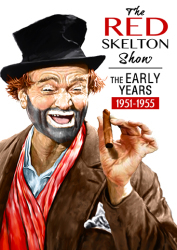 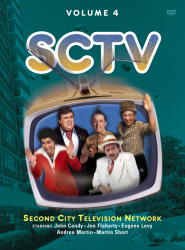 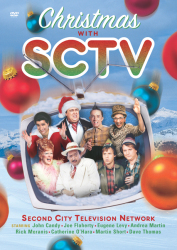 SCTV's best half-hour episodes from 1978 - 1980 are showcased in this 3-DVD collection. 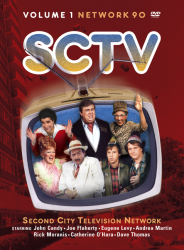 From its humble beginnings in 1976, SCTV transformed from a half-hour comedy airing monthly in Canada on the Global Television Network to a widely embraced series that, by the third season, was airing weekly on the CBC and syndicated in the U.S. Guy Caballero and Edith Prickley were born in the early years. 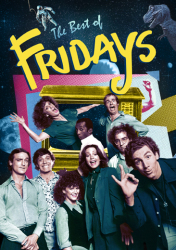 The McKenzie Brothers started here. 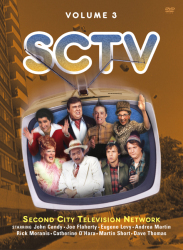 Earl Camembert, Floyd Robertson, Johnny LaRue, Sammy Maudlin and Bobby Bittman - characters destined to become household names - were first beamed into consciousness here.